What does a woman want when she gets flowers for Mother's Day? Wouldn’t you like to know the answer to that question before you click the order button Mother’s Day? 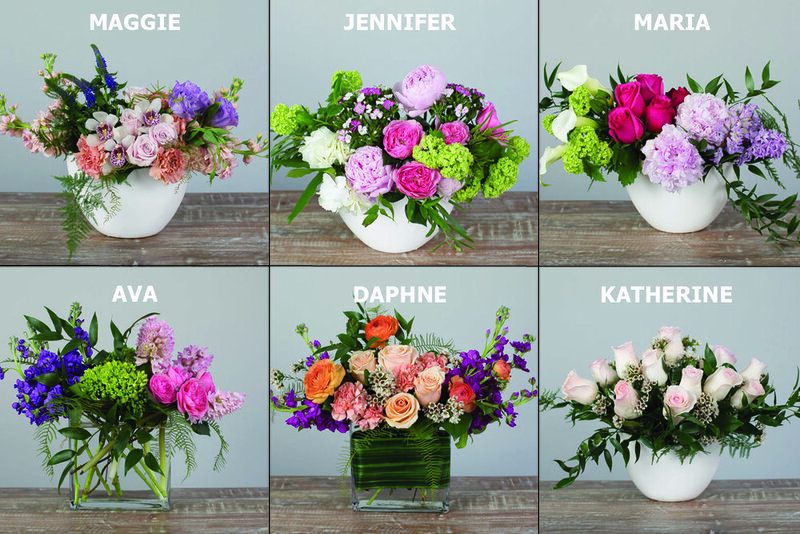 Well, with a little help from our marketing team, I am prepared to share some breaking news about the types of floral designs that appeal to our local mothers. Just some of the comments that we received on Facebook. Like us on Facebook to get all the latest news from J. Morris Flowers. Ok, yes, the research for this blog is very informal. 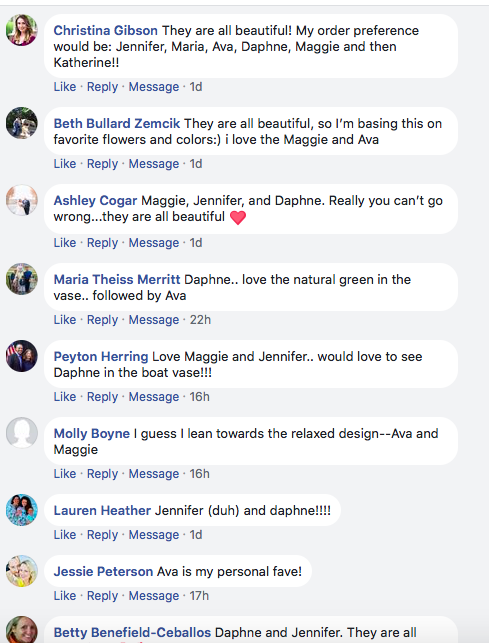 Monday morning, we conducted a straw poll on Facebook, encouraging women and men to choose their favorite designs from our Mother’s Day collection. True, most of the respondents are some of our biggest fans. But, their voices must and will be heard, I say. Most of the respondents have followed our work for some time now and have established more than just a little expertise about flowers and floral design. Several attend our classes regularly and are beginning to get very comfortable with clippers, chicken wire and greens. A trustworthy group, I believe. Before sharing the results, I’d like to muse that some of your family members may still be unsure about just what to get mom for this special day. In fact, there may be a voice inside your own head suggesting that you should be buying something useful like gardening gloves, a trowel and a new watering can. Stop, right there. Mother’s Day is intended to be a celebration, a day-long recognition and a moment for mom to pause and, yes, “smell the roses.” Ok, I think we have saved the situation and I am now ready to present our findings. First, here are the designs that more than sixty-five, yes, sixty-five local Loudoun County residents selected from in our poll. And the winners are... it's a tie. Jennifer and Daphne. To be fair, the margins for first and last place were very slim and all of the designs above received plenty of votes and some amazing comments. We'd still love to know which design appeals to you most. Use the comment section below to let us know. Ready to shop for Mother's Day? Use this button.